As of the 2000 census, the township’s population was 15,759 and estimated now to be 19,000; 6,070 households, and 4,425 families residing in the township with median age of 37. The per capita income for the township was $36,837. According to the United States Census Bureau, the township has a total area of 34.3 square miles (88.8 km), of which, 34.0 square miles (88.1 km) of it is land and 0.3 square miles (0.7 km) of it (0.76%) is water. This township is located in Washtenaw County, West of Ann Arbor. There are 2 zip codes: 48103 for Ann Arbor and 48130 for Dexter – the latter is situated in the northwest corner and includes Village of Dexter. The borders of Scio Township are: Joy Road – North, Maple Rd – East, Scio Church Road – South, and North Parker Road – West. Residents attend these schools: ABBOT, DICKEN, FORSYTHE, HAISLEY, LAKEWOOD, PIONEER or SKYLINE, SLAUSON, TAPPAN, WINES, DEXTER. Tour inside Washtenaw Schools. Residents pay Ann Arbor Area Real Estate taxes at the Scio Township millage rates; the millage rates are displayed here: use property tax estimator link on the top of the millage rate page to help you determine what taxes would look like based on different purchase prices. The Huron River Watershed meanders for 8 miles with Mill Creek in the northwest part of the township emptying into the Huron River and Honey Creek tributary in the southern part of Scio township. Huron Clinton Metro Parks maintains 377 acres of parks. Dexter-Huron Metropark offers golf and Delhi Metropark offers picnic spots, playgrounds, base ball fields, canoe launches, and fishing. There are many other nature preserves for hiking and relaxing. Other recreation centers Veteran’s Park for baseball, sledding, swimming, Huron Valley swim club, and the Liberty Athletic Club. 10 minutes away is the Chain of Lakes for boating, skiing, fishing, tubing, winter skating and cross country. Recently built on the Huron River is the Dexter Library with Video. This is an oasis for curling up to books, getting on the net, or checking out audio tapes, movies and of course books. Located at 3255 Alpine St Dexter, Michigan 48130. Located in popular Ann Arbor and offers great access to the expressway to get to Detroit or beyond quickly. A hop skip and a jump away is Zingerman’s Deli with video,Kerrytown with video, Kerrytown Farmers Market with video, U of M campus and Medical Center. Shop at Westgate Mall & Plum Market for groceries. Go for a quick drive to Morgan and York for a special cheese or wine – see Morgan and York with Video. Ann Arbor is a great place to live – convenient for all, including the metro airport, which is around 30 minutes away! 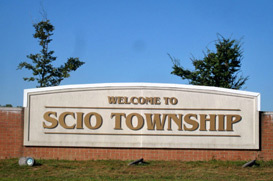 Scio Township News and Community events are published here. We solicit your comments and additions to this. We welcome you to this area of Washtenaw County and would love to talk to you about home ownership opportunities. Contact your Ann Arbor Real Estate Experts – 734-669-0337.